Birds are wonderful for our gardens! They eat seeds then deposit them randomly, mini fertilizations; we get amazing volunteers! They eat all kinds of insects, keep infestations from happening or reduce them. They sometimes scratch up the topsoil a tad, allowing nutrients to seep in. Personally, I enjoy their chatter and just seeing them. 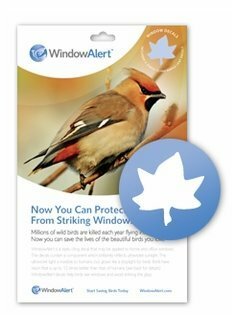 Protect birds from window crashes…. Also, let windows get dirty and stay dirty. Or clean part of window and leave an X unwashed. The writer says: We are stunned at the number of birds (new species we haven’t seen before) in our garden habitat. Take a look at today’s bird column in the [Santa Barbara] News-Press, explains what is going on. We NEED to support bird populations, as they are increasingly under stress. Birds are very thirsty. Please ask your blog readers to add water to their garden, deck, patio, etc. Just a slow drip from a water hose, slightly propped up on a rock or over your favorite water thirsty plant, will be helpful. [If you leave a dish or pan of water, please use low sloped shallow items, put a flat stick for lizards and other littles to climb out on in case they accidentally go for a swim!] Thank you!!!! Select powdery mildew resistant or tolerant varieties! Cavalier – Good resistance to powdery mildew. 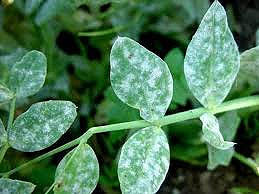 Downy Mildew resistant peas: Kelevdon Wonder, Oasis, Twinkle, Avola, Hurst Greenshaft, Ambassador, Cavalier and Peawee. Healthy Practices Make a Difference! Plant so leaves of one plant don’t touch another and spread the spores. Remove any debris or dead leaves breeding habitat. Remove and don’t compost infected leaves. If you don’t remove them, you reinfect your plant each time you water. Wash tools and your hands before you go from one plant to the next. Water in the AM, at ground level. No overhead watering. BEFORE you have mildew, while your plants are still babies, drench the leaves with a baking soda/milk mix. Tablespoon Soda, ¼ cup nonfat milk powder, drop of liquid dish detergent in a watering can. Drench weekly with your mix. But if you think you aren’t going to be able to get rid of the mildew, sadly, do the one cut prune. Remove that plant so it won’t infect others – yours or your neighbors’. Do this sooner than later. Mildew is windborne, so the more mildew, the more is spread.